A delicious twist on the plain old burger! Asian flavors mixed right into the burger then basted with teriyaki sauce. I topped mine with a 1/2 slice of light havarti cheese, a grilled fresh pineapple slice and some sauted peppers and onions. Perfection! If you can't find ground chicken breast, it's super easy to make your own in the food processor from raw boneless, skinless breasts. Just make sure the breasts are dried off well, and then pop them into the food processor with the blade in position and pulse until the chicken appears ground up...about 10 - 12 pulses. That is the method I used for these burgers. This was the first time I attempted making my own ground chicken breast and I was surprised how easy it was. I wish I had photographed the process...but I didn't. 1. Combine ground chicken, 1/4 cup teriyaki sauce, 1/2 cup panko breadcrumbs, egg, ginger, cilantro and scallions in a bowl. *If mixture seems too wet to form patties, add a little bit more panko breadcrumbs until it is able to hold shape. 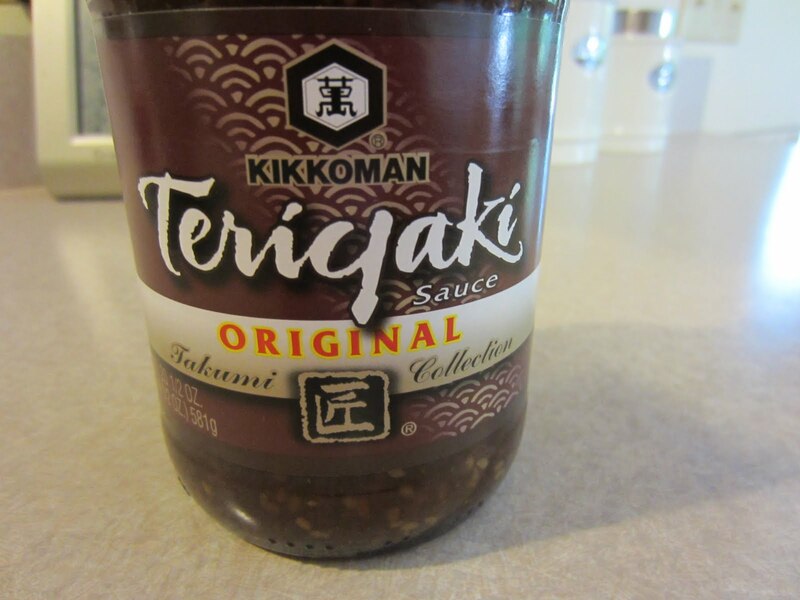 Some teriyaki sauces are thinner than others and may require more panko to hold patty shape. 2. Form into 6 patties. Refrigerate for 30 minutes. 3. Grill over med-high heat, basting with reserved 1/4 cup teriyaki sauce. Grill burgers until they are cooked all the way through or until internal temperature reaches 165 degrees F.
4. To serve: place on toasted sesame rolls and garnish with a light cheese slice ( such as havarti or swiss ), grilled pineapple slice, and sauteed onion and green peppers and a bit more teriyaki sauce. I was really amazed at how easy it was to make my own ground chicken breast in the food processor. If you use this method, you really do need to be sure your breasts are as dry as possible before processing them by patting them with a paper towel. I am looking forward to making these again....we all enjoyed them very much! YUMMMMMMMMM! I love this :) It looks delicious! Awesome. I made somewhat similar burgers recently (http://www.itzyskitchen.com/2011/06/pineapple-jalapeno-teriyaki-turkey.html) love what the pineapple does! Oooooh! They look so delicious!! Yum! They look awesome! Thanks! Terryaki burgers are a fav around our house. I actually just posted our version on my blog recently. ;) Check it out for a super fast home made Hawaaiin sauce using ingredients in your pantry. Much healthier than the jarred stuff too. I agree, I was so surprised the first time I used a food processor to grind my own chicken - it really is easy to do. I also like knowing exactly what I put in there. :) These burgers sound delicious! I copied that recipe to try. Sounds yummy! I always grind my own chicken/turkey...I use the grinding attachment on my Kitchen Aid mixer....I think the food processor might be easier! I'll try that for sure.